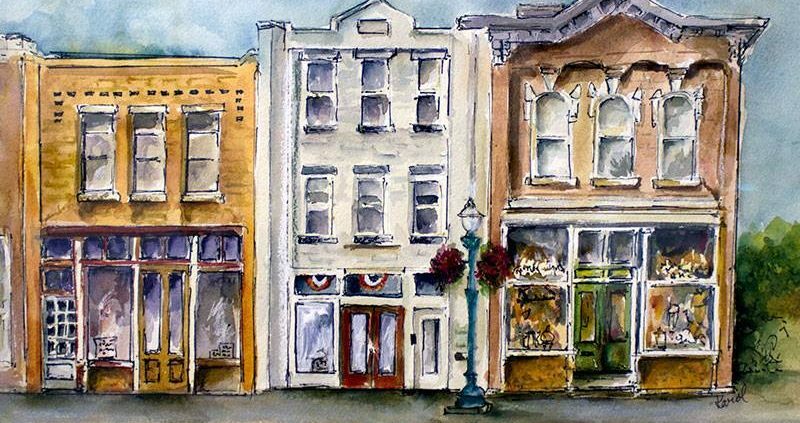 During First Friday: Downtown Art Walk, on July 6 stop in between 5:00 p.m. and 6:30 p.m. and join us for the opening reception of our latest Auditorium Gallery exhibit by watercolor artist Karol Goldstein, featuring beloved sights and iconic landmarks from historic downtown Marietta. Karol taught art in the public school system for 22 years. 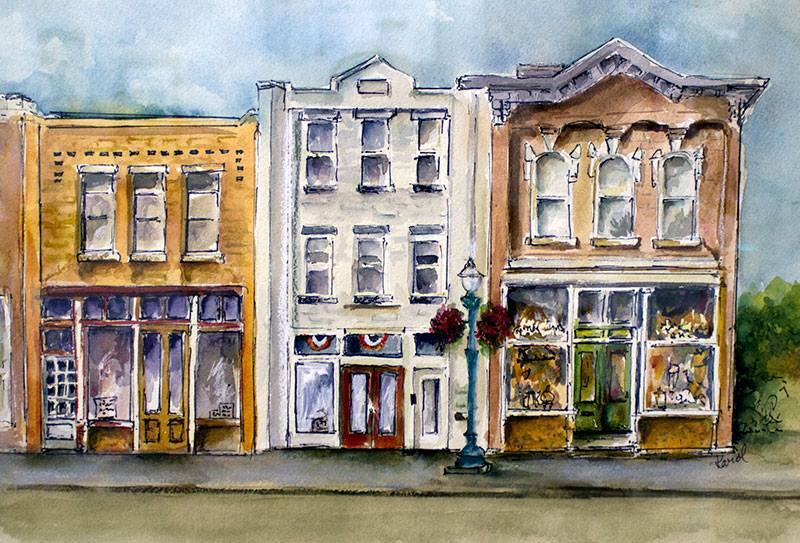 She has received continuous workshops from nationally renowned watercolor artists. Her work has been purchased not only for homes and offices, but also for commissions and can be viewed at Riverside Artists Gallery in Marietta where she is a member. Karol is originally from Ohio, being born and raised in Cleveland. She is a graduate of the Cleveland Institute of Art and fortunate enough to have three of her art works displayed at the Cleveland Museum of Art May Show. She met and married her husband in Cleveland and soon moved to Parkersburg, West Virginia, where they raised three wonderful children.